Recent initiatives by Oxfam, in cooperation with the Ethiopian Yirgacheffe Coffee Farmers Cooperative Union, are aiming to bring back shade-grown coffee on a larger scale. Producing good coffee isn’t just about having the right strains of coffee plants or good farming techniques – the surrounding ecosystem is also essential. For decades, Ethiopian coffee growers have been planting their plots in the shade of tall, native trees, such as sycamores, which keep the coffee berries hydrated and juicy until the time comes to harvest them. If allowed to dry out, the beans of shade-loving coffee bushes produce unpleasantly bitter coffee. Sun-resistant varieties, which thrive in un-sheltered spots, do exist, and can often produce triple the yield of shade-grown plants, but this method of cultivation is thought to be ecologically unsustainable. 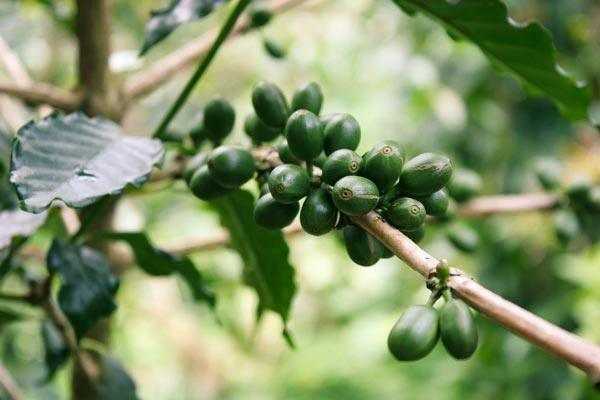 Shade-grown coffee forms part of a natural ecosystem, coexisting with other trees to form a multi-layered canopy in which birds and insects can nest, whereas sun-grown plantations form monocultures which do nothing to promote biodiversity. Besides, according to the experts, nothing can beat the taste of shade-grown coffee! Recent initiatives by Oxfam, in cooperation with the Ethiopian Yirgacheffe Coffee Farmers Cooperative Union, are aiming to bring back shade-grown coffee on a larger scale. 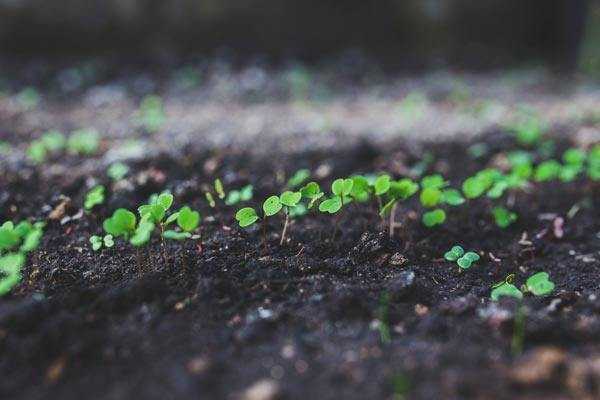 Working together with local agricultural experts, who provide tree seedlings, small coffee growers are reforesting their family plots and nurturing existing trees. The Rainforest Alliance is also taking steps to ensure that coffee is grown in shade as a part of the forest ecosystem, rather than on clear-cut plantations. When clear-cutting of rainforest was at its worst, ecological problems such as soil erosion and the loss of rivers were rife. 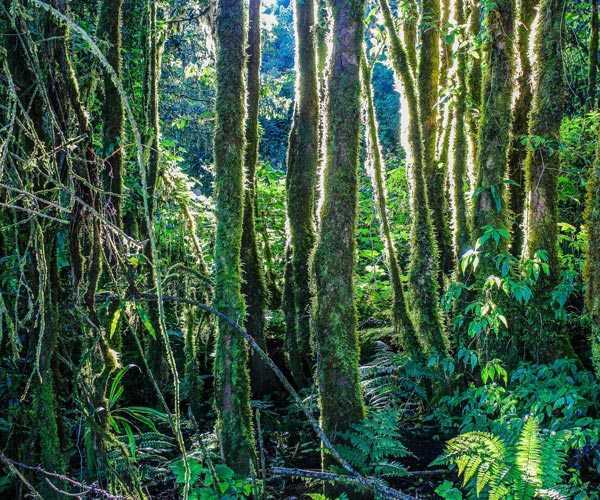 Reintegrating Ethiopia’s economy with its natural forest environment has begun to repair the damage, while individuals such as Ethiopian-born Gashaw Tahir have also led huge projects to plant trees on tracts of land granted by local authorities. Since major causes of deforestation are people cutting down the trees to either farm the land underneath them or sell the wood to buy food, Tahir states that it is crucial that the trees planted should benefit people financially, and the trees that help coffee to grow do just that. The benefits of this shift are three-fold. Firstly, the higher-quality coffee which is grown in shade can be sold competitively on the international market, bringing greater revenue to small local coffee farmers. Secondly, the method allows cultivation to co-exist with a thriving rainforest ecosystem. Thirdly, as many farmers attest, the cool and shady orchards, with their bird and animal populations, make a much more pleasant working environment than sun-growing plantations. And, because the shade method is permanently sustainable, the future of Ethiopian coffee growers is assured.